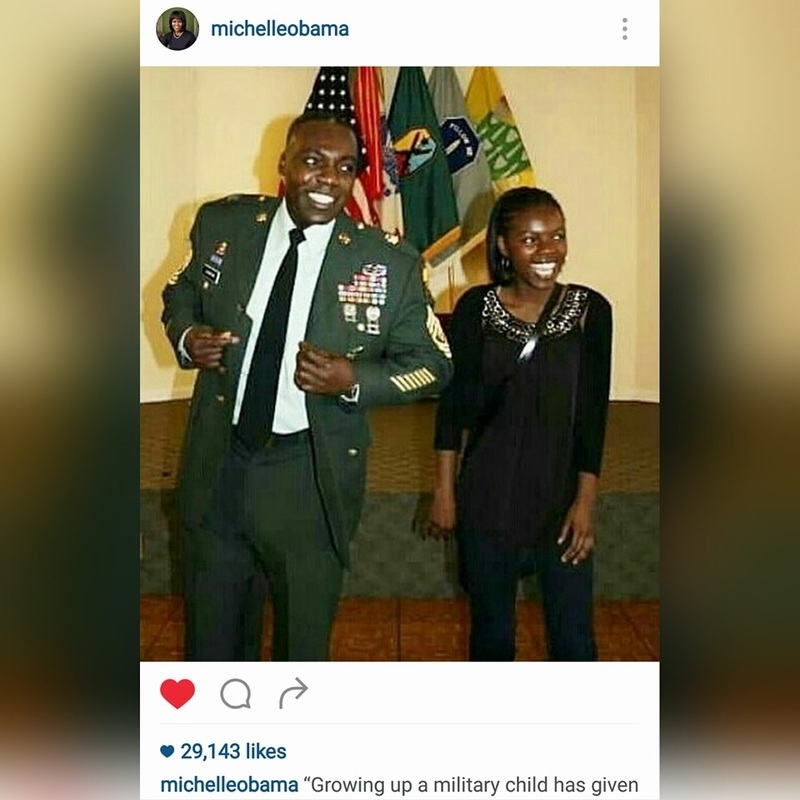 Featured above in First Lady Michelle Obama's #JoiningForces Campaign & Instagram page for my experience as a military child. Click the picture see the full Instagram post.​Featured in First Lady Michelle Obama's #JoiningForces Campaign & Instagram page for my experience as a military child. ​Click the picture above to see the full Instagram post. Growing up in a military family, I can attest first hand to the adversities and problems that military families face every day. The aftermath of war has created an erosion of the mental stability of our soldiers and their families. The vicious tactical combat these servicemen and women must execute is the cause. When these men and women are sent home, their families expect for them to be the same person they were when their loved ones left for war. Often, this is not the case. Likewise, military children often do not understand or know how to cope with the burden of having a deployed family member. This can easily lead to a drop in their mental, academic, and physical performance, as well as social engagement. Other mental issues like depression and separation anxiety can stem from the lack of outlets these families have to express how they feel or to relieve the burden they face. Financial, household and other responsibilities are also common struggles military families face. They often struggle every day with peace of mind, wondering if their loved one is safe and unharmed. Being citizens who enjoy the freedom our service men and women fight and die for, it is essential to show our gratitude to our military and their families. The protection of our freedom or those who fight for it is something not even a single one of our citizens should take for granted. Though the family members of our military stand behind their loved ones in support, they often feel left behind, not understanding how to cope with the stresses of military life. The National Military Family Association fully understands this dilemma and the importance of implementing lasting solutions. With the NMFA, my mission is to ensure each military hero, family member and child, receives the needed emotional support through the challenges and triumphs of military life. Furthermore, my goal is to support political initiatives by helping political officials campaign for military benefits. This action will help grant military families a greater level of assured access to psychological aid, medical aid, and job availability. This action will also ensure military families’ homes are not foreclosed while deployed or one year before or after they return. This action directly helps eliminate homeless veterans, a term that should never exist. To reach college students, I have co- founded Saluting our Armed Services (SAS) at Spelman College. SAS’ purpose is to develop social awareness through community service and civic engagement that supports our armed service members and families. I have coordinated a variety of projects including: Veteran’s Day Run, Resume Building for Vets, Operation Care Package, and Project VA. Additionally, I have pledged to complete 150 hours of community service with the First and Second Ladies’ Joining Forces initiative to helping the rebuilding of our military communities through my individual service. I have even discusses veteran and military family issues with Miss America 2000, Heather French Henry. 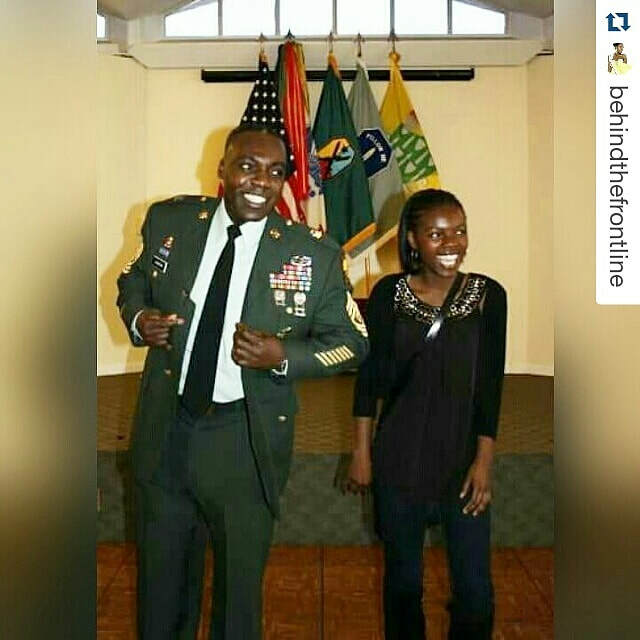 In the past , I created a program that significantly focuses on impacting military families and children, through youth and familial mentorship. In the future, I plan to create a non- profit or support a current non-profit furthering this mission. As Miss America and into my adulthood, my ultimate goal is to expand a non-profit organizationof my own to not only aid military children, but firefighters, police, medical professionals and any other first responder’s children and families who are affected by similar struggles due to the high demands and risk their loved ones are exposed to in their place of employment. What is needed is not only a catalyst to raise awareness about the issues military families face, but a voice with a unique perspective creating personal connections and tangible improvements in our communities. I am that unique voice, with a guiding perspective, to ensure the continuous progress of this necessity. As Miss District of Columbia, and ultimately Miss America, I will be the spokesperson who has lived the military life and can identify needed improvements. I will be the voice. I will tell my story. I will encourage others to tell theirs. This is my call of duty to ensure no military dependent or veteran will ever be left behind. READ CIERRA'S PERSONAL STORY ABOUT HER EXPERIENCE BEING A MILITARY KID, WRITTEN TO HELP CONNECT WITH YOUNG READERS WHO HAVE PARENTS IN THE MILITARY. Pre-Order "CC the Military Kid" today!